MOSCOW (Sputnik) - Amid declining profits, the Daesh terrorist organization* has reportedly started to invest in legal businesses to keep on financing its activity, head of the Federal Security Service's (FSB) intelligence information and international relations service, Sergey Beseda, said Monday. Profits of the Daesh terrorist organization in Russia have gone down 90 percent since 2014 to $200 million — $300 million a year, Beseda said. "If we compare those financial receipts that were in 2014 and were estimated at about $3 billion, then now ISIL [Daesh] militants manage to get $200-300 million a year," Beseda said at an international conference on efforts to counter illegal arms supply in the context of the fight against international terrorism. He said the Daesh started investing money in legal businesses to finance its further activity. In addition, Daesh is training and redeploying sabotage and terrorist groups to Europe, Central Asia, and Russia, Shanghai Cooperation Organization, Regional Anti-Terrorist Structure (SCO RATS) executive committee deputy head Dzhumakhon Giyesov revealed on Monday during international conference on efforts to counter illegal arms supply in the context of the fight against international terrorism. 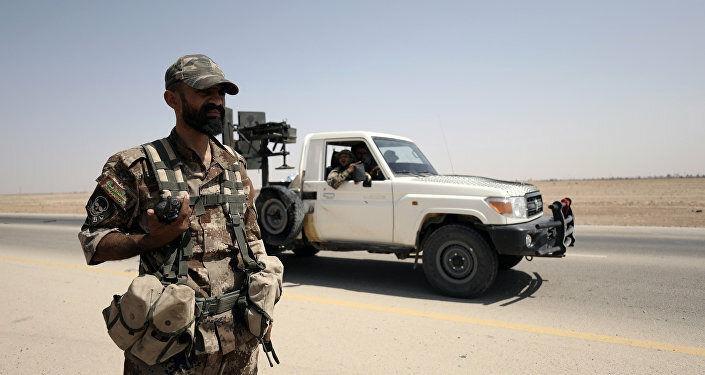 "The successful suppression of hotbeds in Syria forced the remaining militants to redeploy and their leaders to activate their foreign affiliates. Special structures created by ISIL [Daesh] recruit, train and redeploy sabotage and terrorist groups to Europe, Central, Southeast Asia and Russia," Giyesov said. Earlier, Russian envoy to the UN Vasily Nebenzya stressed that Daesh made a series of attempts to invest money "into legitimate business ventures abroad." He also noted that the terrorist group was losing access to the rich oil and natural gas deposits in the country as a result of successful military operations implemented by the Syrian Arab Army and its Russian allies. In April, media reports stated that Daesh had managed to seize oil fields in the province of Deir ez-Zor in eastern Syria, which was its former key stronghold, with the group using its oil fields to raise funds for its terror state.